Jeannette Deseglise was a naïve painter who was born in Paris in the early 20th century. She studied at the Ecole des Beaux-Arts in Paris, Narbonne workshop. She lived with her sister in Norvins Street. She also lived at rue Lepic and then in 1950 at rue Ordener and finally at rue Saint-Marxeaux in 1960. 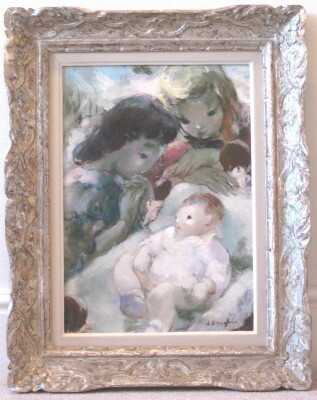 In 1936 she exhibited two paintings at the Salon des Independants and in 1960 exhibited two more works - “Young Girls with Daisies” and “Girl at the Pond”. Her work was purchased by Henri and Andre Bureau Roussard.